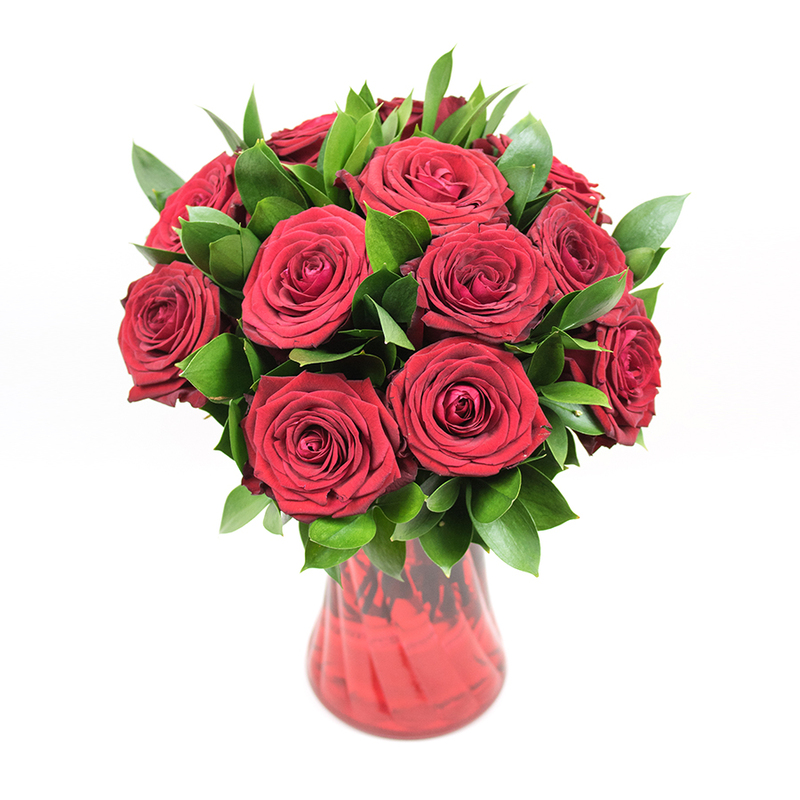 Make someone's heart overflow with a delivery of this exquisite and elegant bouquet. 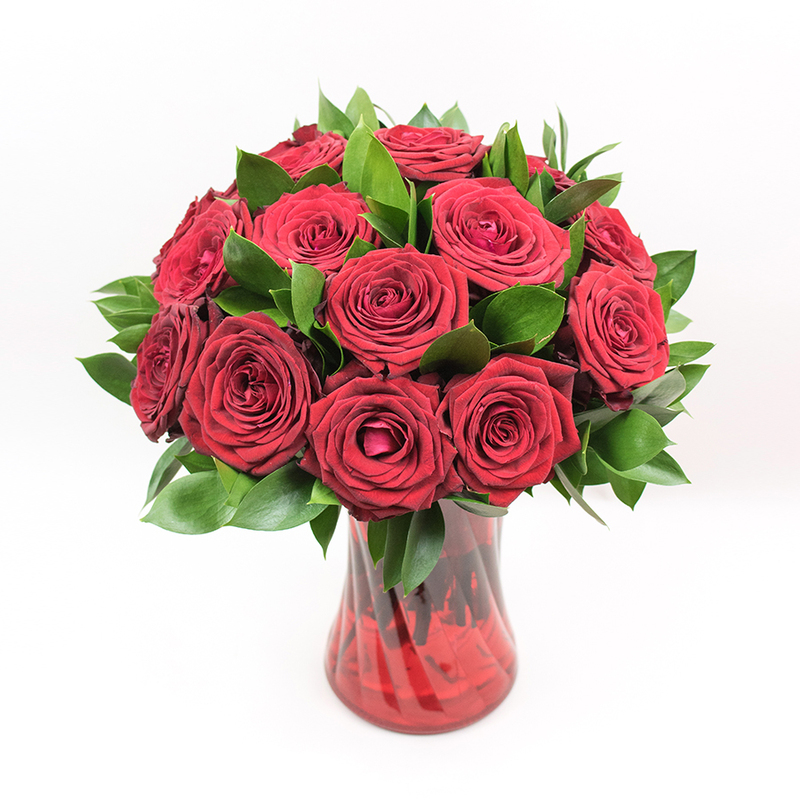 With a heart of stunningly romantic red roses and supported by aspidistra leaves it is a real symphony for the senses. Totally in love with the bouquet! Perfect bouquet of red roses! First class service! I could tell that the roses were freshly cut as they looked so fresh and delightful. Wonderful flowers from Handy Flowers!!! Hello, I just want to share my experience with this company. I ordered the flowers online and called to check if the order went through. The lady that answered the phone was very nice and treated me with respect. The bouquet was delivered promptly without any problems. Definitely will use their services again! I’m not much into flowers but I had to choose a nice-looking bouquet for my girlfriend, as our anniversary was coming up. I turned to Handy Flowers for assistance and they helped me select the most beautiful bouquet ever! Thanks so much! Got this unforgettable bouquet for my sister’s birthday – it looked amazing, so fresh and dazzling. I ordered this bouquet for my mother. She found it adorable, loved every detail. I liked it very much too, I’ll gladly order from this online florist again. Ordered these flowers as a sympathy gesture. They arrived to the recipient the next day and now having seen them in real, they really are stunning. What a wonderful company – will recommend it to all of my friends and family. Wow! Roses were gorgeous! Thanks so much for the first class service. Needed to order a bouquet of flowers as a gift but was that impressed by the selection I ordered one for myself too. Really impressed by the variation available and the service was also impeccable. Will be using them on a regular basis. 5* service – beautiful was how my girlfriend described the flowers and really impressed they arrived on-time as I ordered very last minute.